Join Us Every Saturday at the Avenues Mall! Good day everyone! I hope everyone is having a pleasant couple of days. I am sure most people are upset about the postponement of the Sharg tournament. However just because there is no tournament does not mean you cant play and make new friends in the game of chess. 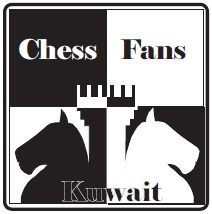 The members of the Kuwait Chess Federation meet in Caribou Cafe every Saturday at 7:00 P.M. This week alone, we had around 10 members enjoy themselves in dozens of blitz games in the coffee shop. Mohamed Qabazard, Nasser Maqseed, Amer Al Amer, Khalaf Al Azmi, Ibrahim Shehab, Raed Al Ahmadeih, Omran Al Moussawi, Hashem Ali, and myself were all present from around 7Pm till around 10 PM. Other people who usually join the fun are: Kuwait Champion Bader Al Hajeri, Taher Al Khateeb, Waleed Al Awadhi, Abdulsalam Al Dakheel, Abdullah Maqseed, Ali Moussawi, and a handful of others. So come join us this week for a couple of games and feel the joy of playing with real pieces instead of just playing online. COME ON AND JOIN US FOR A COUPLE OF FRIENDLY GAMES! 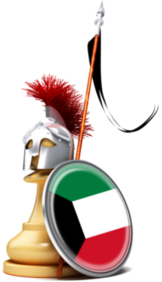 THIS AND EVERY SATURDAY AT THE CARIBOU CAFE IN THE AVENUES MALL AT 7 P.M.
And in response to the question, it is better if you bring your own chess set and maybe even chess clock. 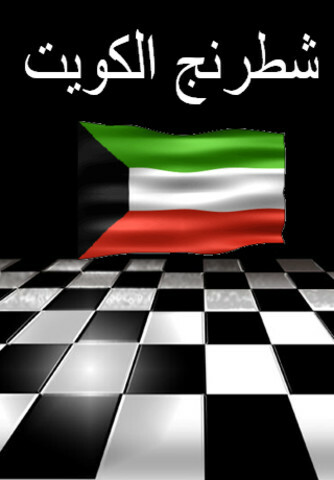 is there a shop her in kuwait where i can buy chess set, chess book, or chess clock?? As for chess clocks, if you want a particuliar one like the CHRONOS CHESS CLOCK II, than you have to order it online.. If you want the DGT 2010, than you can contact Khalaf because he sells them. All other clocks will have to purchased online as well..
hi khalid…..i told mister sami and daniel to be there that is why they are there,but i didnt come as i have an on call duty that time he he he…:P…….if you have computer?or laptop?no need for chessbooks….as there is a program like frits and chessbase that annalizes games and you can download free pgn files…easy to study more handy and more fast…thanks khalid for accomodating daniel and mr. sami nasrallah…….hope to see you there in the coming weekends…god bless you khalid…. There are several Landmark’s in Kuwait. you can order from a store called ebay. you tell the the item and the site to buy from. they take the money for it and add service costs. Apps Development. Firstly, the person has to create a software development program. accommodations, subway maps, and also emergency contact details.